Farrar, Straus and Giroux, 9780374530631, 256pp. 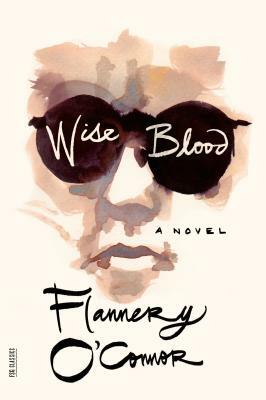 Wise Blood, Flannery O'Connor's astonishing and haunting first novel, is a classic of twentieth-century literature. It is the story of Hazel Motes, a twenty-two-year-old caught in an unending struggle against his inborn, desperate fate. He falls under the spell of a "blind" street preacher named Asa Hawks and his degenerate fifteen-year-old daughter, Sabbath Lily. In an ironic, malicious gesture of his own non-faith, and to prove himself a greater cynic than Hawks, Motes founds the Church Without Christ, but is still thwarted in his efforts to lose God. He meets Enoch Emery, a young man with "wise blood," who leads him to a mummified holy child and whose crazy maneuvers are a manifestation of Motes's existential struggles. This tale of redemption, retribution, false prophets, blindness, blindings, and wisdom gives us one of the most riveting characters in American fiction.